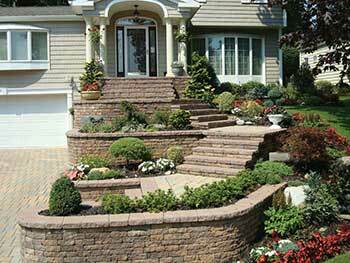 Professional hardscape design Improvements for your Loudoun home. Hardscape Design is another service offered by Property Services Landscaping. We offer a wide selection of materials, and installation of patios, walkways and retaining walls. From pavers to flagstone to bricks or fieldstone, we are your source for professionally installed hardscapes that will beautify and help you enjoy your outdoor living space. Our relationship with Nicolock provides you with the highest quality pavers, stones and landscaping building materials available. Imagine the back yard of your northern Virginia home with a new paver patio, surrounded with beautiful flowers that bloom all summer long. Encase portions of the yard with retaining walls that enclose trees in order to create a paradise on your own property. This lasting back yard installment with be enjoyed maintenance free for many years to come. When done properly, these home accents will help to retain the value and visual appeal of your property. You can count on the hardscape design professionals of Property Services Landscape to design and install the yard of your dreams. To learn more about the complete Hardscaping services that we offer. Contact Property Services Landscape. 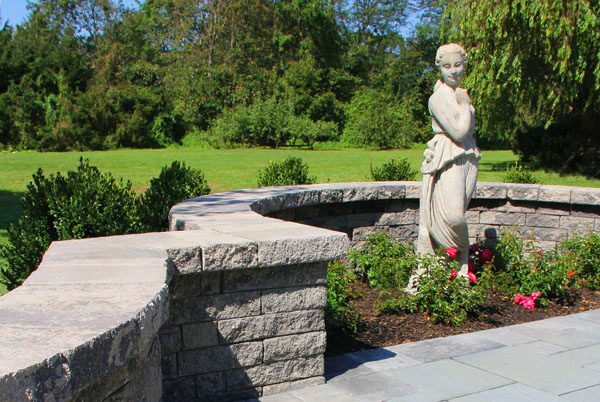 We offer hardscape design and installation services in Loudoun County, including Broadlands, Upperville, Hillsboro, Lincoln, Leesburg, Aldie, Lansdowne, Philomont, Ashburn, Purcellville, Hamilton, , Bluemont, , Lansdowne, Lovettsville, Middleburg, , Round Hill, and Waterford.